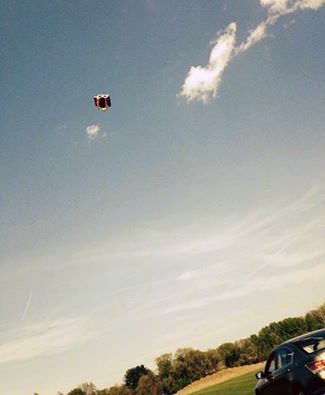 Two young boys were seriously injured Monday when a “bounce house” they were playing in was picked up by a gust of wind and soared 50 feet into the air in South Glen Falls, New York. The boys, ages 5 and 6, both fell from a height of at least 15 feet, according to the Post Star. One boy hit the pavement while the second boy landed on a parked car, the newspaper reported. The Post Star reported that a third child, a 10-year-old girl, was also knocked out of the inflatable toy but was not seriously hurt. No information was released on the conditions of the two boys who remained hospitalized Tuesday night, the newspaper reported. Stunned witnesses could only watch helplessly as a “bounce house” with children inside was picked up by a gust of wind and blown 50 feet into the air. Two young boys were tossed out of the inflatable toy at a height of about 15 feet. One boy landed on a parked car, the second hit the pavement. Both are hospitalized with serious injuries.